Will need it on 16 Oct 09 (latest). Please check. In addition to the requirements below, i would like to add a little details to the western gown and suit. I would like a shocking pink sash from the waist and my hubby suite colour be off-white, slightly towards brown? " 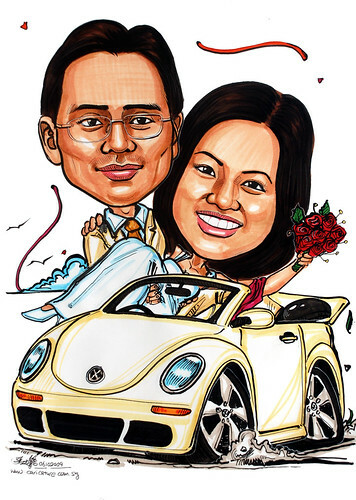 Seems like convertible Beetle is very popular among wedding couples.